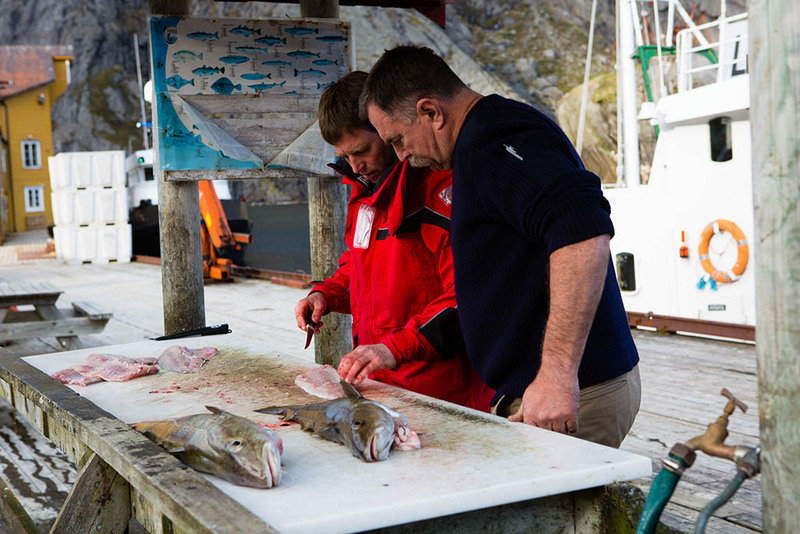 After a few days in Malmö and Göteborg, we headed up to Oslo to see what’s what. 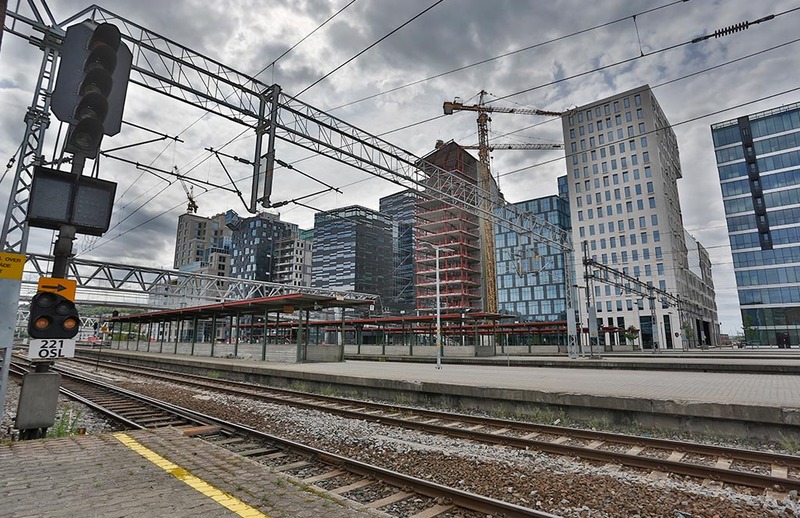 This is the new Oslo city center, being constructed around the more recently renovated Sentralstasjon. 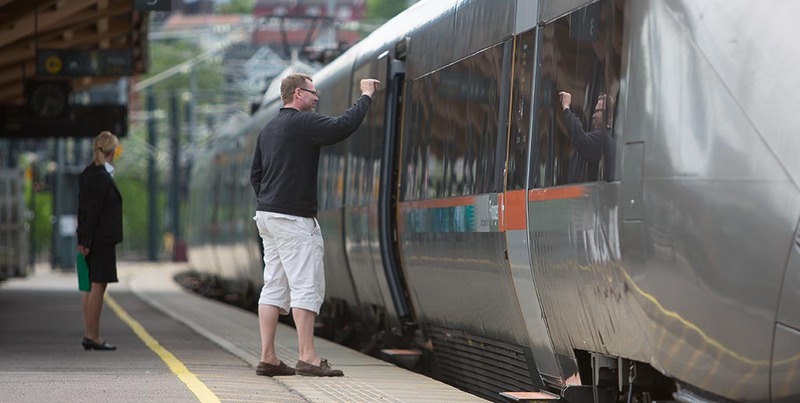 A man waves to his wife and children just before they depart for the Oslo airport aboard a Flytoget express train at the Lillestrøm station. 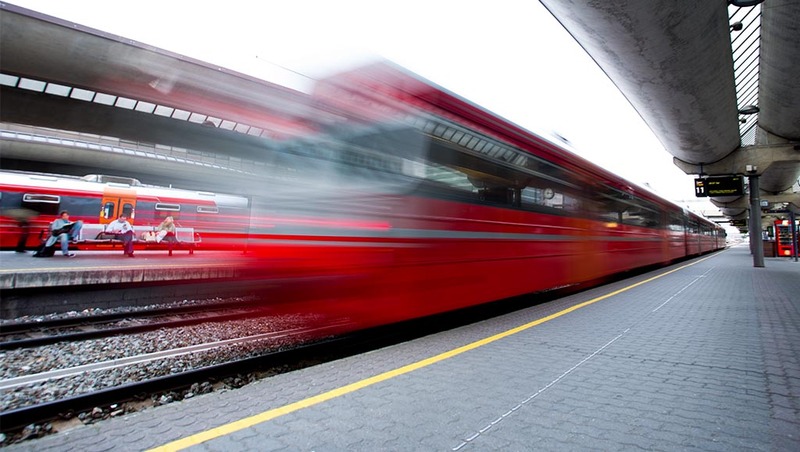 An NSB Lokaltog departs Oslo Sentralstasjon for the suburbs. 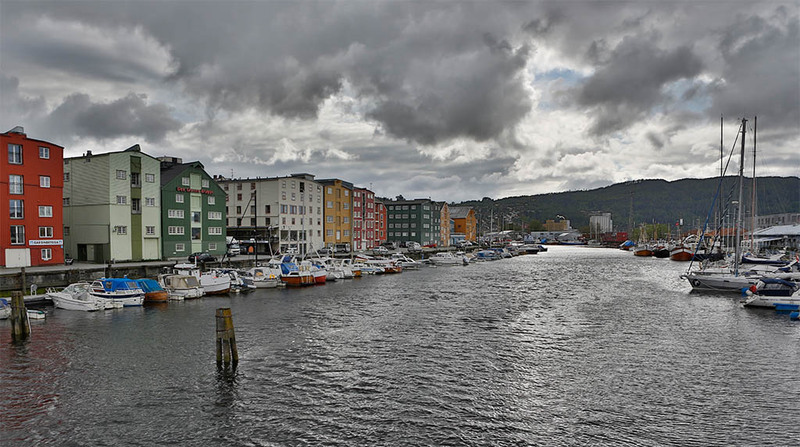 The Trondheim Harbor sits in relative calm on a cool spring evening. Somewhere along the Norway-Sweden border between Trondheim and Bodø, Norway. The last image I took on the 10 hour train ride from Trondheim to Bodø. Simply stunning. 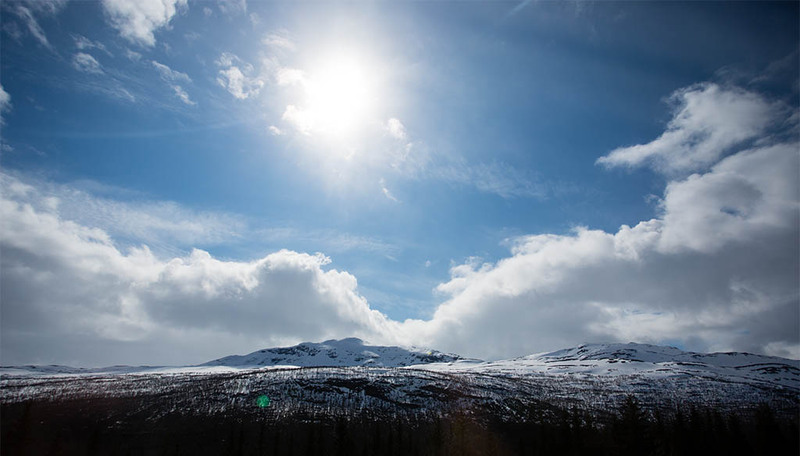 A view from the side of the E6 between Bodø and Narvik, on our way to meet the ferry. 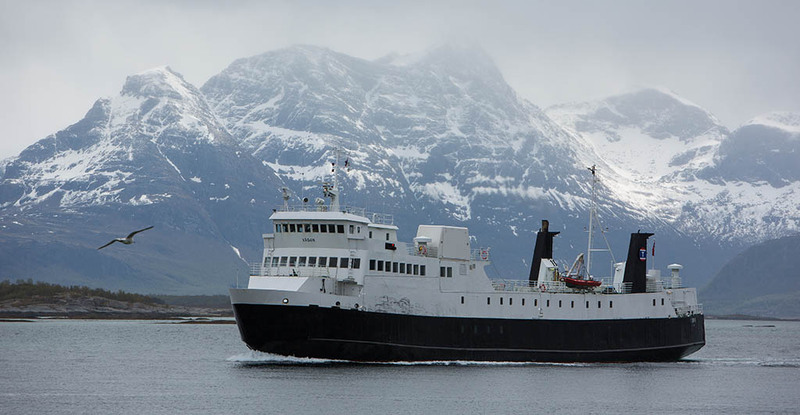 Our transport, Vågan for the trip across the Norwegian Sea from Skutvik to Svolvaer with an intermediate stop at Skrova, a small fishing village. 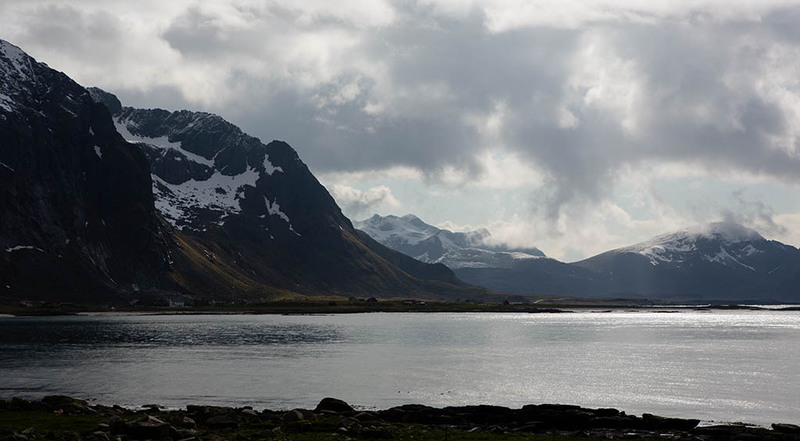 The view from Skrova northward, towards the main islands of the Lofoten archipelago. The views don’t change much as you drive along the islands. 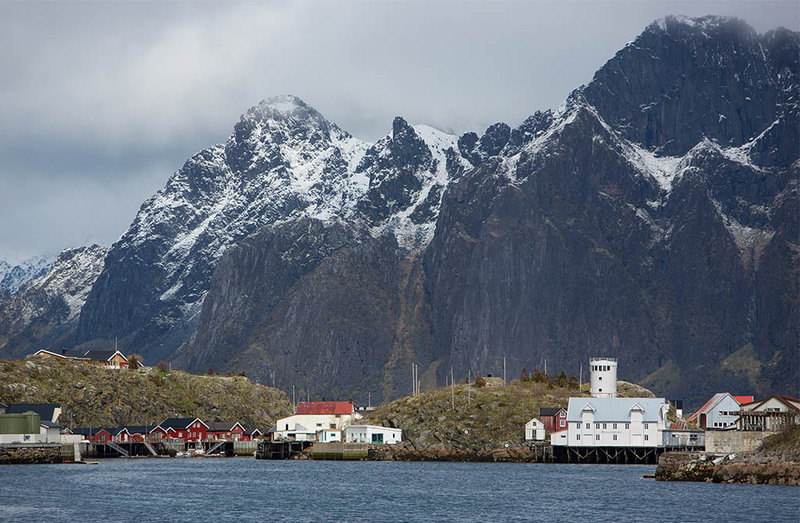 This was the scene when we first arrived at Nusfjord. 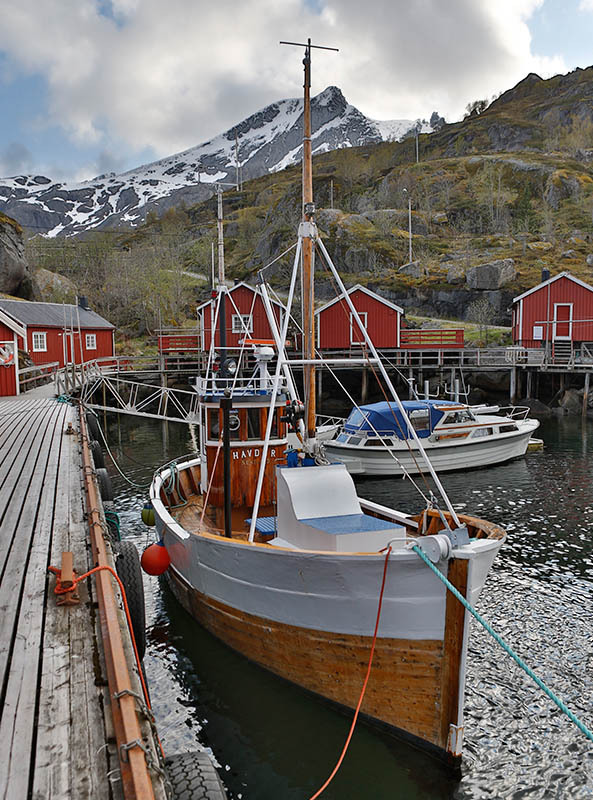 One of the fishing vessels moored at the docks at Nusfjord, which is still a commercial port. 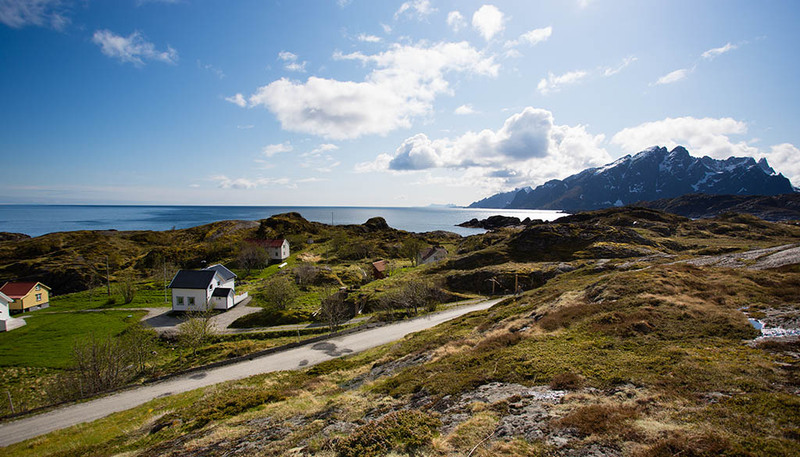 Between the main road, E6, and Nusfjord, there is a small road about 8km long. 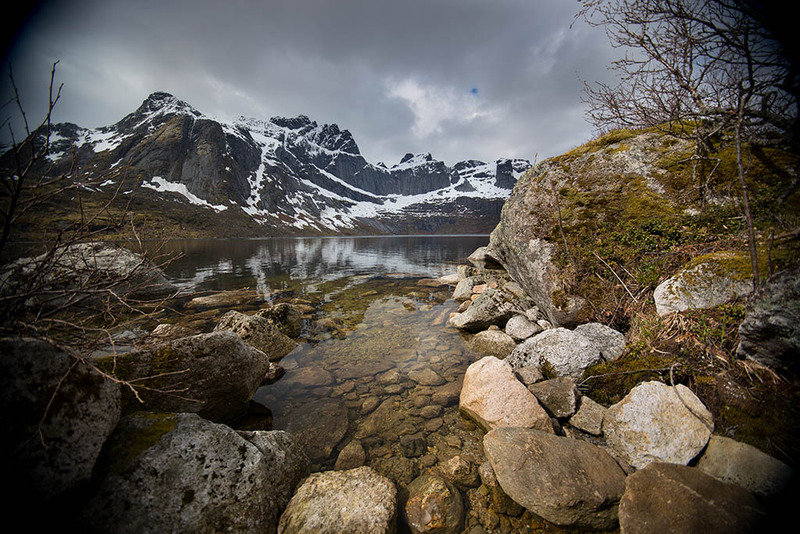 There is also a lake and a very large amphitheater-shaped rock. This image is not doctored in any way, the burned edges are actually the inside of the imaging circle because the lens I used was designed for cameras with a smaller imaging sensor. 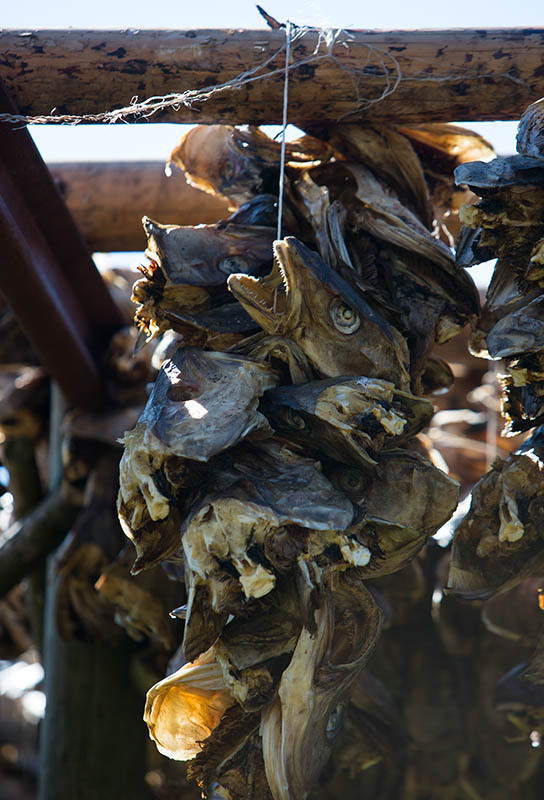 Stockfish, the local delicacy, is Cod that was caught in the fall and hung up to dry during the winter. 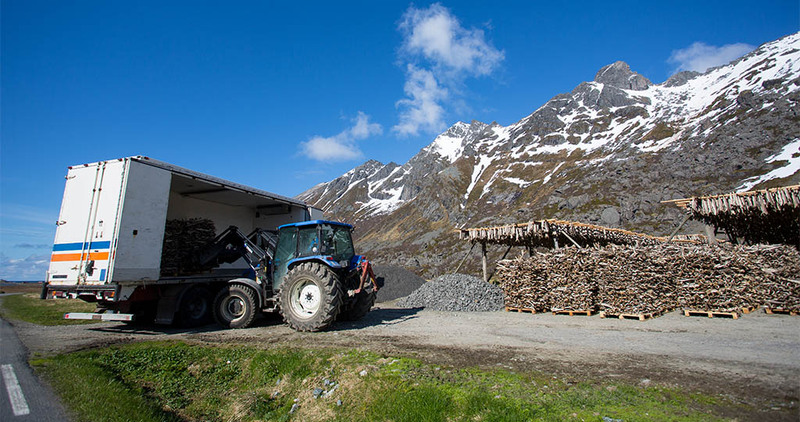 We arrived at the time of the year when they are stacked on pallets and loaded into trucks for shipment to, of all places, Italy, where the majority of the local Stockfish production is sold to Italian restaurants and hotels. It smells a bit like beef jerkey, and is actually pretty good, despite it’s unappetizing appearance. This is the view from Nesland looking south-west. 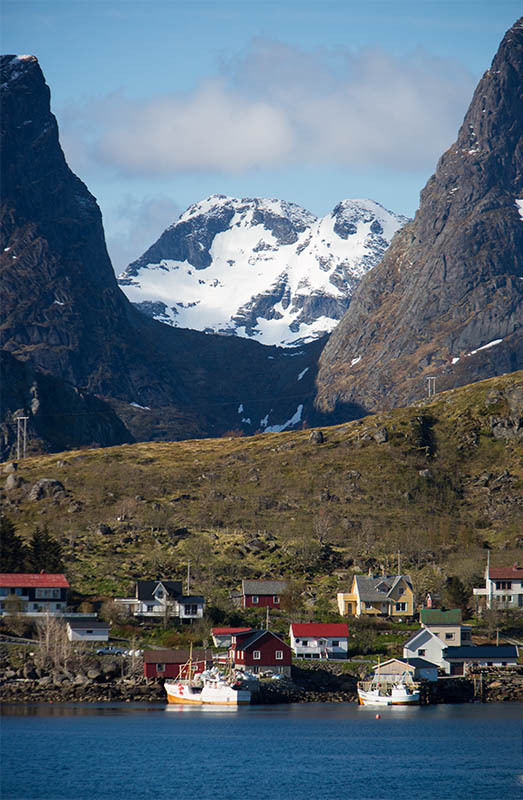 The majority of this area is a sheep-grazing pasture, but at the end of the 10km road is this quaint village. Full Cell phone coverage, too. This is the fishing village and port of Moskenes, looking North. 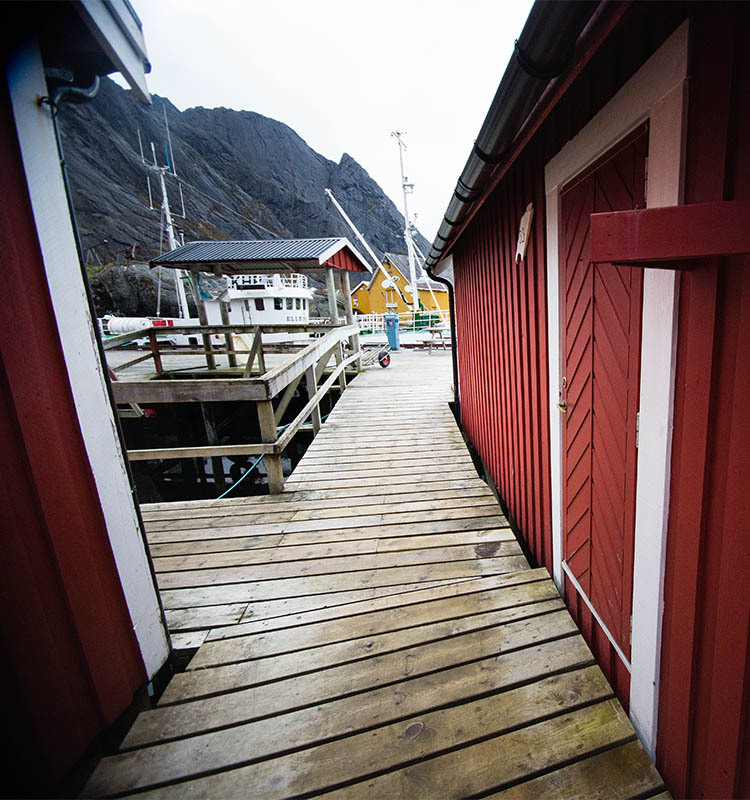 The door at the right is for our Rorbu Cottage (Fisherman’s Cottage, in Norwegian). The accommodations were impeccable. 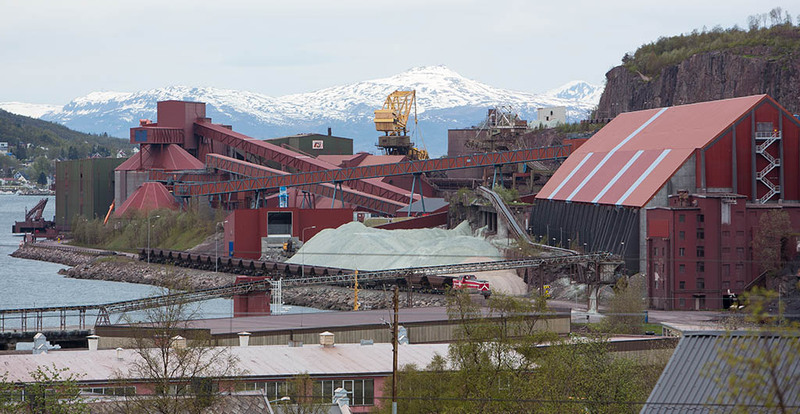 This is the LKAB dock in Narvik, a city that pretty much owes its’ existence to the Iron Ore railway from Kiruna, Sweden. The mines and the railways have been in continuous operation since 1913 and LKAB is still expanding mining operations in Sweden. 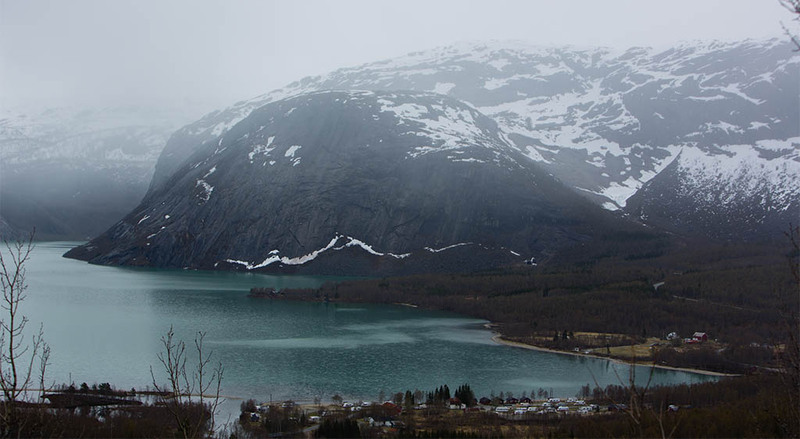 This is one of the last views of Norway we saw, before we departed Narvik for Uppsala on the overnight train. 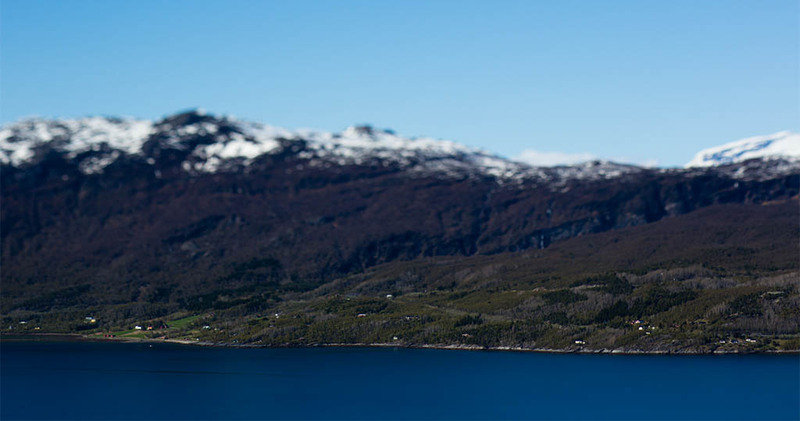 This is the lower end of Ofotfjord as seen from the train station at Straumsnes, the last station easily accessible by car in Norway The rest of the stations are very remote with access only provided by hiking trail or by railroad. 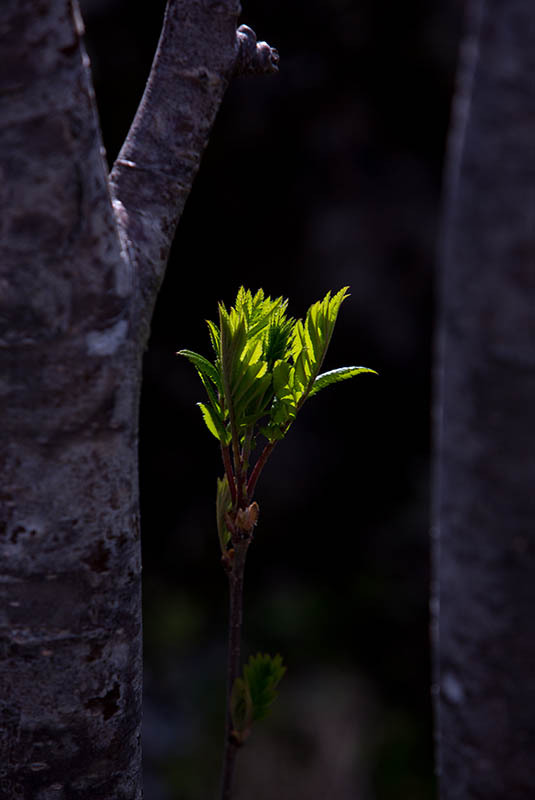 My next post will document the following week of travel and images between Narvik, Norway and Stockholm, Sweden. I can’t wait! Posted on Wednesday, June 6th, 2012 at 2:44 am. Filed under: News & Updates	RSS 2.0 feed.